It has been cold in my area day by day, but not yet snow. For such weather, Tomy releases the following item in the end of October 2010. 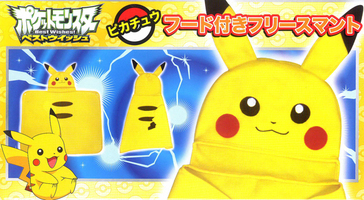 Using as blanket, lap robe, cloak or cosplay etc. When I saw this package first, asked myself, is this Pi... ka....... Chu ? ?